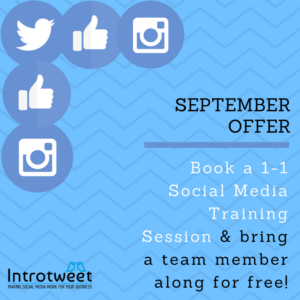 Launching our Introtweet September Social Media Training Offer! Book a 1-1 Social Media Training Session & bring a team member along for FREE! Grab the chance to book a Social Media training session tailored to the unique needs, stumbling blocks & requirements of your business. We can’t wait to help you maximise the power of Social Media for your business! ⭐ Available for September Only. ⭐ Payment to be made upon booking. 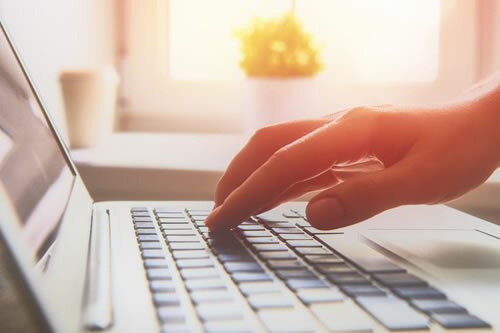 Find out more about our bespoke Social Media Training sessions here. Ginine joins the Introtweet team!